Creating professional estimates in Wave is quick and easy. 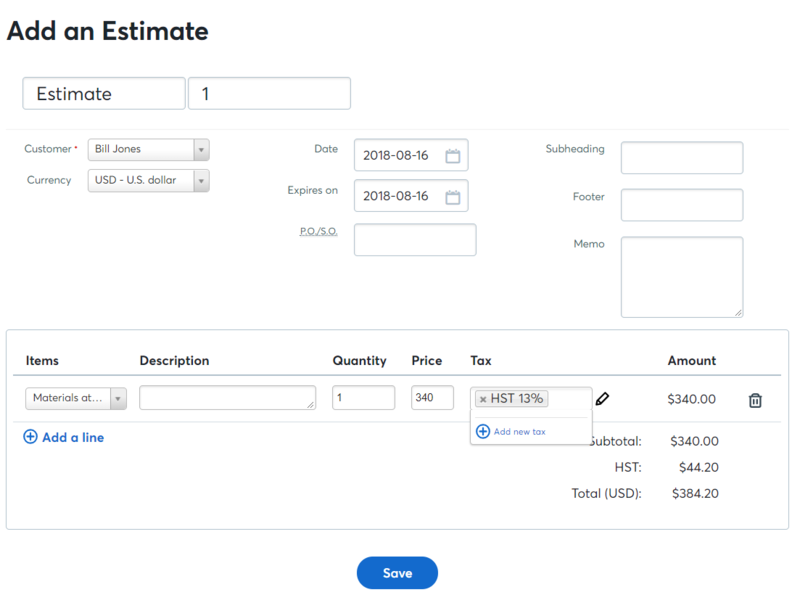 When your client accepts the estimate, you can go right ahead and convert it straight to an invoice to save even more time! Click on Sales in the menu at the left side of your screen. Select a Customer from the drop-down menu. You can also click Add new customer. Select a Currency from the drop-down menu. Choose a Date, an expiry date, and a P.O./S.O. Add a Subheading, Footer, and any Notes you want to add to the estimate. Click Save. Your estimate is saved and will not affect your records unless you decide to convert the estimate into an invoice.